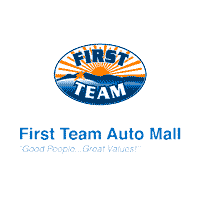 Our knowledgeable and friendly First Team Auto Mall Collision Center staff is ready to assist you with your auto body and collision repair needs. We offer a state-of-the-art auto body shop facility with certified technicians, trained to restore your vehicle to its pre-accident condition. First Team Auto Mall’s Collision Center has the latest technology and resources available to ensure customer satisfaction every time. Our Collision Center maintains an excellent working relationship with all insurance companies. Our office staff will work directly with both you and the insurance company to ensure repairs are completed properly and in a timely manner. This commitment to customer satisfaction is our #1 goal! We are the Roanoke auto body repair and collision center of choice because we are committed to your satisfaction. We restore your vehicle and your confidence. You’ve come to a DuPont Assurance of Quality collision repair center. We treat each vehicle as if it were our own. We assure quality materials and workmanship, using only DuPont-quality paint systems and technicians professionally trained in their use. We stand behind the quality of our work with a warranty backed by our shop and DuPont. If you’re not satisfied, we’re not satisfied. Feel free to ask us anything about your collision repair. We’ll be happy to discuss it with you. We want you to have all the information you’ll need to feel confident in our ability to deliver the results you expect.